Welcome to the first edition of the graduate summer school “Quantum devices for non-classical light generation and manipulation”. The summer school will cover different aspects of quantum technology, from quantum information and communication, to quantum computation and sensing. Different systems will be discussed, i.e. quantum dots, color centers in diamond, organic molecules, integrated quantum photonics and cold atoms and ions, from applied to more fundamental research. The summer school will be held in the beautiful Erice, guested by the “Ettore Majorana foundation and centre for scientific culture”, from September the 30th to October the 5th. Am 6. und 7. 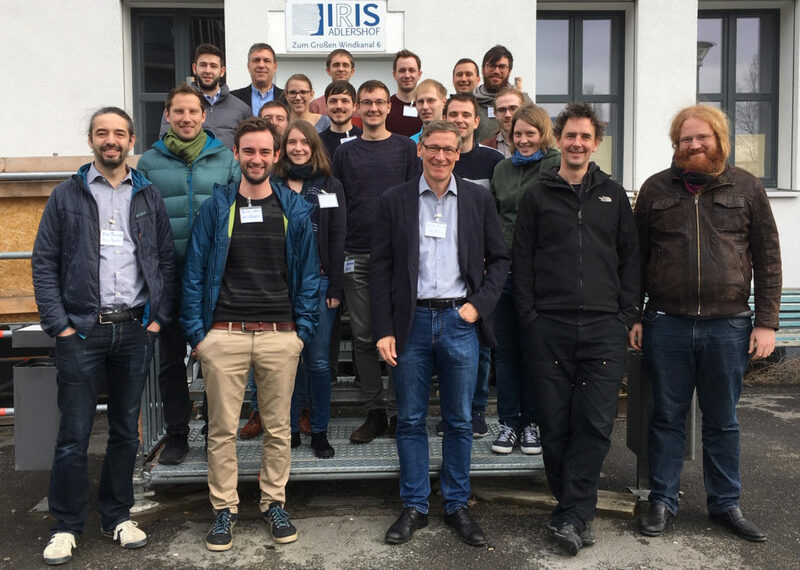 März 2019 hat in Berlin das Treffen der Diamant-Gruppe stattgefunden um aktuelle Themen und den Implementationsweg des geplanten Quantenrepeaters zu besprechen. Hierbei kamen die Gruppen aus Stuttgart, Ulm, Berlin, Mainz, Paderborn, Karlsruhe und Kassel zusammen und besprachen die nächsten Implementierungsschritte. Insbesondere wurde die Zusammenarbeit unter den beteiligten Doktorand*innen gefördert.